Howdy readers, feels great to be back behind ye old keyboard. I hope you all enjoyed several hot cross buns and chocolate eggs and no one missed me too much during my extra long Easter break. Would have stayed longer, but my sworn duty to helping all humanity wouldn’t let me. Well, that and the fact that my loyal readers already have a full house of health issues for me to tackle for the rest of the year. So make the most of Olivia people, I left a lot of disappointed beach hunks for you guys. Looking at my email, it seems lots of guys overdid everything during the Easter holidays. The gluttonous eating, the non-stop partying, free-for-all brawls for days, drinking like a school of fish and mating like a bunch of Columbus monkeys who just discovered how to do the damn thing. You know what I’m talking about. That’s why it should come as absolutely no surprise that thousands of people are now starting off the new month dealing with all sorts of injuries, wounds, swollen appendages, unspeakable pains, and all sorts of inflammations! Am I saying that even poor old Olivia was a victim of some form of awkward swelling? Maybe, but we’re not talking about me now, it’s all about you guys. And as such, I’ve dedicated today’s segment to understanding everything to do with inflammation. We’ll be looking at exactly what this is and how it presents itself in the human body. We’ll also check out all the likely causes of inflammation and how to go about in treating it. So grab a seat and rest your abused, inflamed body my friends, because you just stumbled on Olivia’s ultimate guide to everything you need to know about inflammation. It might come as a shocker to you, but just like most other health issues, even swelling and inflammation all play a crucial role in your body. Inflammation is part of a complex biological response to harmful stimuli such as damaged cells, pathogens, and irritants. It is ideally the body’s natural response and attempt at self-protection to remove all these harmful stimuli and kick-start the healing process. So without this important inflammatory response, any wounds, damage, and infections would not be able to heal. Instead, they would simply fester and turn into deadly, life-threatening infections. If we were to look at inflammation on a cellular level, you’d see the arteries dilating, blood flow increasing and capillaries thinning so that white blood cells and nutrients can move into the spaces between cells. The white blood cells then swarm the wounded or injured area where they ingest the damaged or dead cells, germs, and foreign materials so as to heal the body. Likewise, hormones known as prostaglandins create blood clots to heal damaged tissue and remove them when done. The next step is usually a transient, abnormal enlargement of the affected area known as swelling. Swelling is considered to be one of the five characteristics of inflammation; we’ll get to the rest later on. This swelling is caused by an accumulation of fluids that accompany white blood cells in the tissue and is usually expelled as pus when the body no longer needs it. As I was saying before I was rudely interrupted by that subtopic heading, inflammation has 5 primary symptoms that characterize it. These include pain, heat, redness, swelling, and loss of function. Now, these five signs only apply to inflammation of the skin or external inflammation. As the swelling pushes against sensitive nerve endings, inflammation can cause stiffness, discomfort, distress or straight out agony depending on the severity. If the inflammation is inside the body such as in an internal organ, then some of these signs won’t be noticeable. Like if the inflamed organ doesn’t have sensory nerve endings such as lung inflammation, then there won’t be any pain. As always, I’ve compiled a list of all the signs and symptoms you can expect from inflammations. This type of inflammation is usually long-term and can last for months or years depending on the severity. It can result from autoimmune disorders that attack healthy tissue, exposure to a low-level irritant or a failure to eliminate whatever is causing the inflammation. 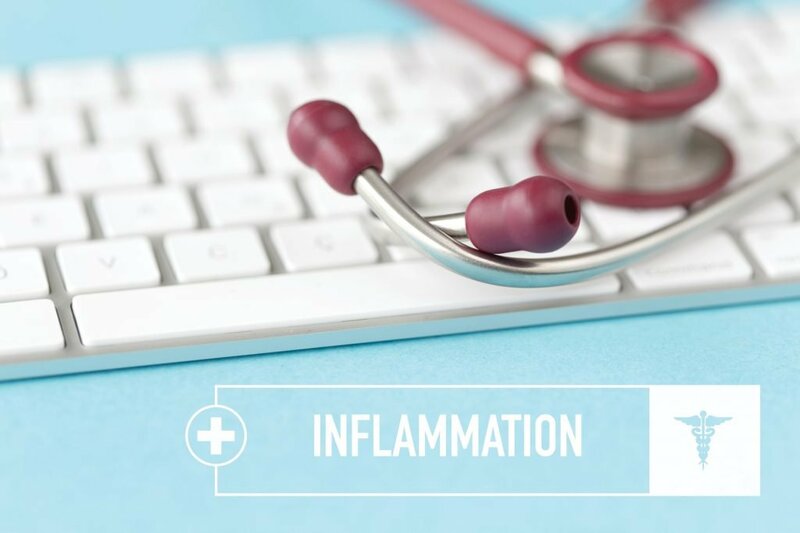 Typically, chronic inflammation tends to occur in wear and tear conditions such as osteoarthritis and autoimmune diseases like asthma, allergies, rheumatoid arthritis, IBS, periodontitis, tuberculosis and many more. So although damaged tissue won’t heal without inflammation, a chronic inflammatory response will eventually cause several diseases such as cancers and hay fever. Like I said earlier on, inflammation is a complicated albeit crucial part of the healing process. And more often than not, the issue tends to go away on its own after a few days. So while you might be in a hurry to get well, reducing inflammation is not always necessary; especially not when it involves using drugs and pharmaceuticals with more side effects than benefits. That said, there are times when helping reduce inflammation can be helpful, especially when done the right way. But first, let’s start with what everyone’s favorite doctor has to say about treating inflammation. Also called non-steroidal anti-inflammatory drugs, these meds are usually prescribed by millions of doctors worldwide to treat various symptoms associated with inflammation. NSAIDS work by blocking an enzyme known as cyclooxygenase which produces prostaglandins. Without this enzyme, the swelling, pain and fever of inflammation will not happen. These drugs are mostly used to treat fever, swelling and pain primarily for short-term afflictions such as headaches, fevers, and others associated with colds and flu, menstrual periods and strained or sprained muscles. They can also be used to treat more chronic conditions such as arthritis and back pain, though at your doctor’s discretion. However, it is advisable to avoid long-term use of NSAIDs even when prescribed by a doctor. That’s because they increase a person’s risk of ulcers, which can result in severe, life-threatening bleeding. They may also worsen asthma symptoms, cause severe kidney damage, and increase the risk of having a heart attack or stroke. You can use paracetamol or Tylenol, which reduce pain without affecting the inflammation. This is ideal for those wishing to treat just the pain while allowing the healing factor of the inflammation to run its full, necessary course. These are a class of steroid hormones that prevent a wide range of mechanism involved in inflammation. Corticosteroids reduce inflammation and swelling by plummeting the production of chemicals typically involved in inflammation. However, they tend to decrease the activity of white blood cells thereby potentially impacting immunity and leaving you more prone to severe diseases. NB: In truth, scientists are still conducting research on the treatment of inflammation using NSAIDS, corticosteroids and other pharmaceuticals. 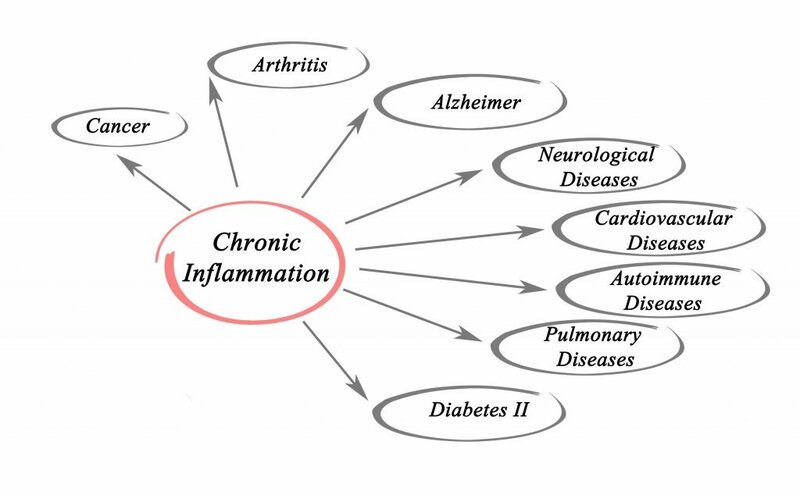 So I would strongly advise people with chronic inflammation to adopt some lifestyle changes such as anti-inflammatory diets and natural treatments rather than wait for the drugs which are not only a long way off, but most likely to be expensive and packed with ugly side effects. 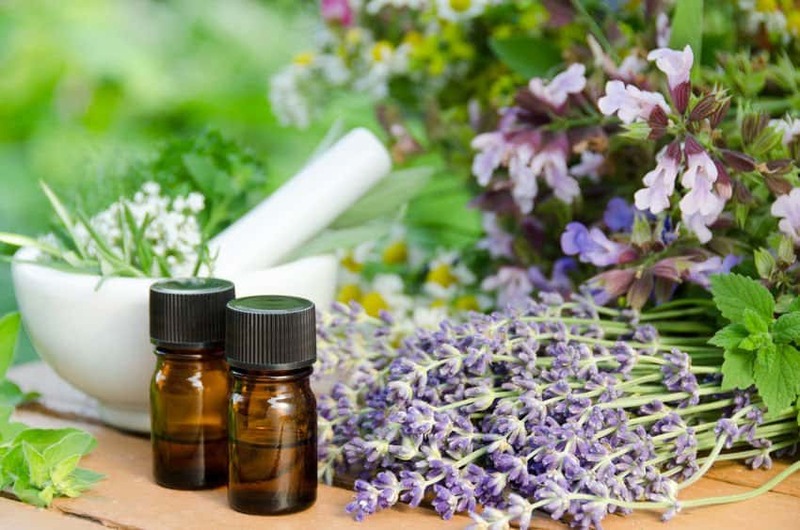 For centuries, essential oils have been used to speed up the healing process, reduce inflammation, alleviate pain, and improve the appearance of bruises, cuts and temporary injuries. Thanks to their anti-inflammatory, antiseptic, analgesic and antioxidant properties, some of these oils can really work wonders for inflammations that can only be described as far gone. 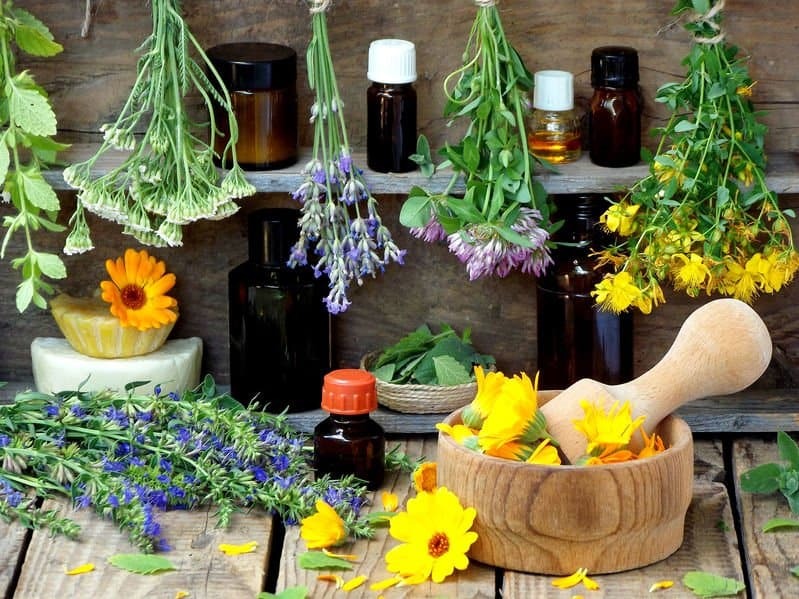 In addition to lending a helping hand to the healing process, essential oils also soothe the skin, reduce swelling, minimize tenderness, fade discoloration, improve blood circulation and encourage clean up around the inflammed area. Lucky for you, I’ve done all the grunt work to show you exactly which essential oils are perfect for dealing with all sorts of inflammations and the symptoms that come with it. From abnormal swelling and discoloration (redness), all the way to unbearable pain and heat, you can bet there’s an oil to naturally beat all the 5 main characteristics of inflammation. Whether it’s caused by cuts and physical trauma or diseases and infections, I’ve got proven EO recipes to help put these oils to good use. 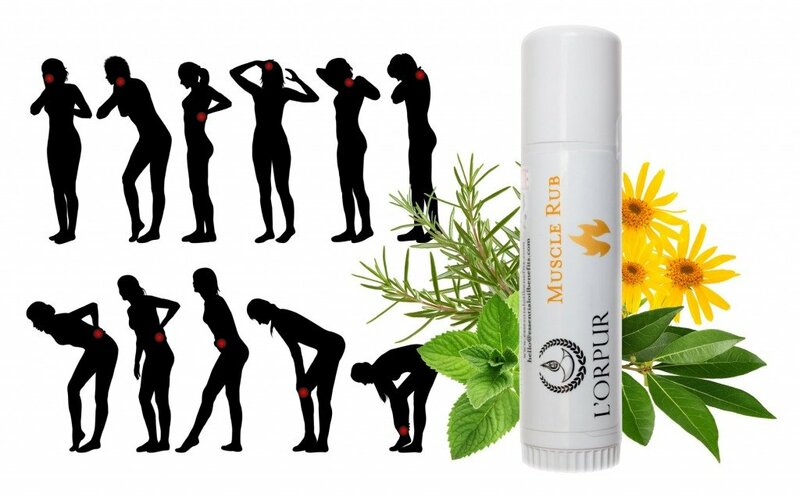 You can also try the L’orpur Muscle Rub which can tackle various forms of inflammation including aching muscles and joints, bruises, etc. Of all the oils out there, Lavender still remains consistently the top-selling essential oil; and for good reason. Lavender is one of the most diverse oils on the planet with more health applications and medical properties than you could possibly list. Packed with analgesic, anti-inflammatory, antiseptic, antimicrobial, antispasmodic and many other properties, Lavender EO is perfectly engineered to safeguard your skin against irritants, microbes, infections, and inflammations caused by trauma. The oil is also well-famed for its uncanny ability to prevent swelling, redness, itching, and minimize the discoloration and appearance of the inflamed area. Introducing one of the ancient and very holy oils of biblical times, Myrrh essential oil has been long known for its healing properties. Myrrh contains super potent anti-inflammatory, antimicrobial, antiseptic and fungicidal properties that are responsible for eliminating any bacteria and fungi responsible for causing both external and internal inflammation. These properties not only also allow Myrrh essential oil to calm down inflamed skin and offer soothing relief for burning and itching sensations, but also offer relief for the pain and inflammation caused by conditions like IBS (irritable bowel syndrome) and IBD (inflammatory bowel disease). 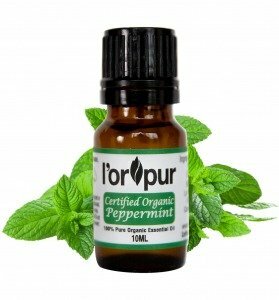 Boasting of some pretty concentrated antifungal, antibacterial, antimicrobial and anti-allergenic properties, Peppermint essential oil makes for one heck of a remedy against a wide range of inflammations. Not only do all these properties facilitate faster healing, but they also help reduce the pain and any manage any excessive hotness. The reason why peppermint makes it to this list is due to the fact that it has one exceptional component that gives it a huge advantage over the rest. 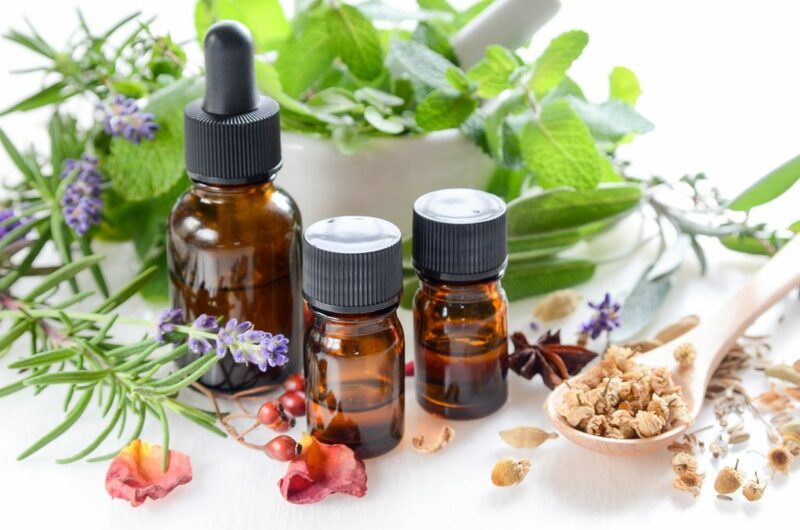 Menthol – It’s this main component of peppermint oil that allows it to have an incredibly powerful cooling effect on both the skin as well as other internal organs. 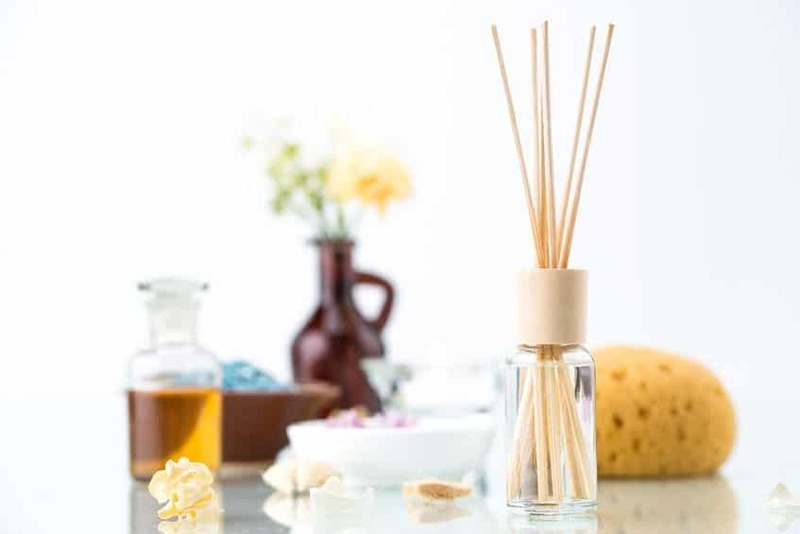 Similarly, inhaling peppermint essential oil via a diffuser can help unclog the sinuses and offer relief to scratchy throats in the event of inflammations from bronchitis or allergies. Leave it to an ancient wise man from over 2000 years ago to know that Frankincense is great for inflammation. That’s right, both the mother and child must have really appreciated Frankincense above all else. Boasting of natural anti-inflammatory, analgesic and pain relieving properties, Frankincense is still used in thousands of topical formulations worldwide. Studies show the oil is able to inhibit leukotriene release which reduces inflammation, cuts down swelling, promotes healing and tissue regrowth. And for concerned parents with kids who suffer from chronic inflammation, then this is one essential oil that you can’t afford to miss in your meds cabinet. Apart from being safe for kids, Frankincense essential oil contains antioxidant and stimulant compounds that can be linked to reducing the harsh redness while also boosting the immune system and relieving stress. Generally, the two types of Chamomile essential oil (Roman and German) are both suitable for treating hives. But just like all German machines, German chamomile oil proves more effective and yields better result as an anti-inflammatory agent. Using it helps combat all the symptoms of hives such as inflammation, swelling, irritation, redness, itching, and pain. Apart from treating various types of inflammation, German Chamomile essential oil also works wonders for acne, eczema, psoriasis and other skin conditions. Widely renowned as one of the highly anti-inflammatory superfoods, turmeric is a golden spice native to South East Asia. Although you know it as a way to spice up your curry, Turmeric EO is packed with powerful anti-inflammatory, anti-microbial, and healing properties. This particular oil is especially beneficial for people with chronic inflammatory conditions such as joint inflammation caused by arthritis. Apart from being a mouthful, Helichrysum essential oil is a natural anti-allergenic antiseptic, antispasmodic and potent anti-inflammatory agent. All these properties make it more than ideal for treating a wide range of inflammations. Using this oil will help heal inflammation, calm irritation, prevent swelling and also soothe any cuts and abrasions. What’s more, helichrysum also acts as a cooling agent for your skin. Chock full of antioxidant, anti-inflammatory, antiseptic and therapeutic properties, lemon essential oil is also a great solution for skin inflammations; especially those caused by cuts and infections. Not only does it inhibit the inflammatory response, but it also boosts the immune system for faster recovery of the affected area. Similarly, lemon oil also soothes itchy skin and prevents infection and inflammation from spreading. To make use of this recipe, start by first melting the shea butter to liquid form until it’s soft enough to mix with a spoon. Place the butter and castor oil in a heat safe bowl and then on top of a saucepan half filled with water. Heat the water to a boil until the shea butter melts. Once melted, put the bowl in a fridge until it cools to a soft, solid consistency. After that, remove it from the fridge and then proceed to mix in the ingredients as directed above. With a hand mixer, combine all the ingredients into a creamy, white ointment and store in a clean glass container for later use. As doctors will tell you, massaging around the inflamed area is the best way to go about treating inflammation. This especially applies to inflammation that manifests as arthritis, joint pain, skin issues and more. It is also a great way to de-stress and wind-down which is very important in getting rid of chronic inflammation caused by constant stress. To make use of this recipe, heat your shea butter to a molten state and pour it in a large jar to cool off. Next, add your essential oils and carriers in the order and amount indicated above. Stir the mixture with a glass rod to combine all ingredients and allow the massage cream to set overnight in the fridge. Use the cream to massage limbs, joints, and other areas that suffer from chronic inflammation at least once a day. What I love about compress recipes is that they can either be used hot or cold. Depending on what type of inflammation you have, you can choose to go with a hot or cold compress. If for example you have painful arthritis, then a warm compress will work great. But if your inflammation was caused by cuts, physical trauma or internal disease, then the excessive heating sensation can be cooled off with a cold compress. To make use of this recipe, place your water in a large bowl and add the essential oils as indicated above. Swirl the mixture to combine all your ingredients and then soak a soft washcloth in the mixture for a minute. Wring it out and then press on the affected area. Repeat three times a day until the inflammation subsides. 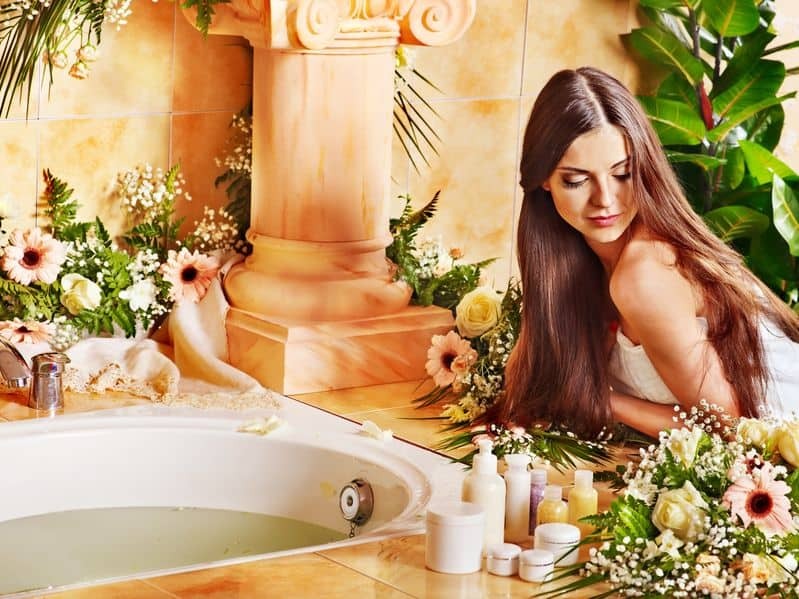 Whether you suffer from chronic inflammation or not, it’s always advisable to take an anti-inflammatory bath at least once or twice every week. Not only will it help detoxify your body, but also promote faster healing. Start by running a warm bath and pour in the Epsom salts as indicated above. Next, add in your essential oils as the warm water runs so as to get a more even mix. Ensure all the salts are dissolved and then give your battered body a thorough, half hour relaxing, healing, anti-inflammatory, detoxifying soak. Diffusion is one of the best way to enjoy the anti-inflammatory properties of essential oils. Not to mention the easiest and safest way to get the oils inside you without direct ingestion. To make use of this recipe, simply add the essential oils to your diffuser as indicated above and diffuse for about an hour every day. You can also play around with the recipe by adding a couple of drops of peppermint and myrrh essential oils. There you have it readers; I hope I’ve answered every single thing you need to know about inflammation. From here, tackling any form of acute or chronic inflammation should be that much easier now. However, it’s important to remember that inflammation is actually a necessary response crucial to the healing process. Without it, we wouldn’t be alive much less able to heal and recover from serious injuries, allergies, and diseases. So, please give your body a chance to heal itself as the inflammation runs its course. If the symptoms become too much or the inflammation turns chronic, you should consider seeking medical advice. The great thing about some of these essential oil recipes is that they can still be used even after the inflammation subsides to maintain a healthy, anti-inflammatory lifestyle. No worries. I’ll have a full post on essential oils for bursitis in a few weeks, stay tuned. I appreciate the way you structure your articles with a physiology refresher, common remedies (and side effects), then your amazing EO knowledge! A friend and I both suffer from lower body neuritis that our doctor’s cannot explain. Like having a lightning storm going on in our legs! Ouch. Makes sleeping difficult. Do you have any remedies for this? Effortless and superb read as usual (love the humor). Can’t wait to try the EO recipes for my swollen ankles. Sure, let me know if you need additional help.